Fyrinnae has added new products to its lineup. 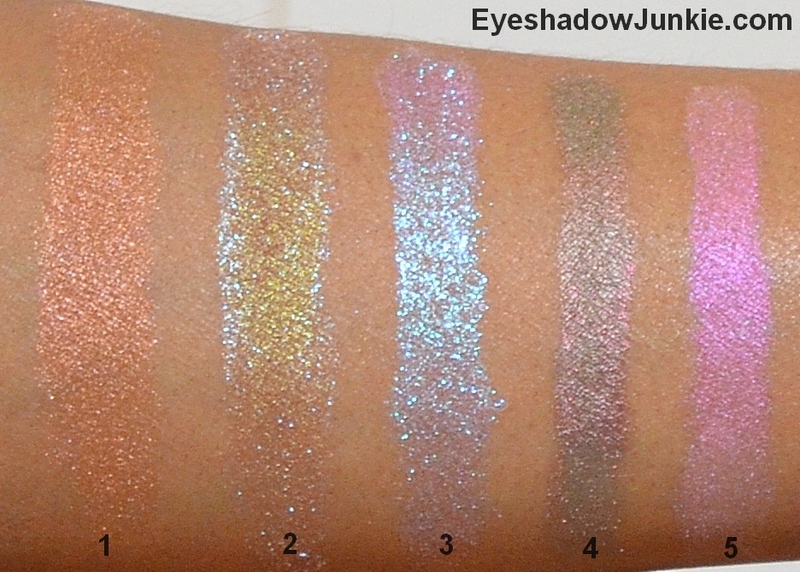 According to their website, “the Exquisites are a new variation of their popular Arcane Magic eye shadows. These new shadows have stronger color shifts without depending on an opaque base hue, making them stunning alone or over many other colors.” I would agree with most of that statement. The shades definitely have a stronger shift, but two are sheer and would perform better on an opaque base. These shades are also pricier than the typical Arcane shades, but still affordable at $8 for 2.3g of product. 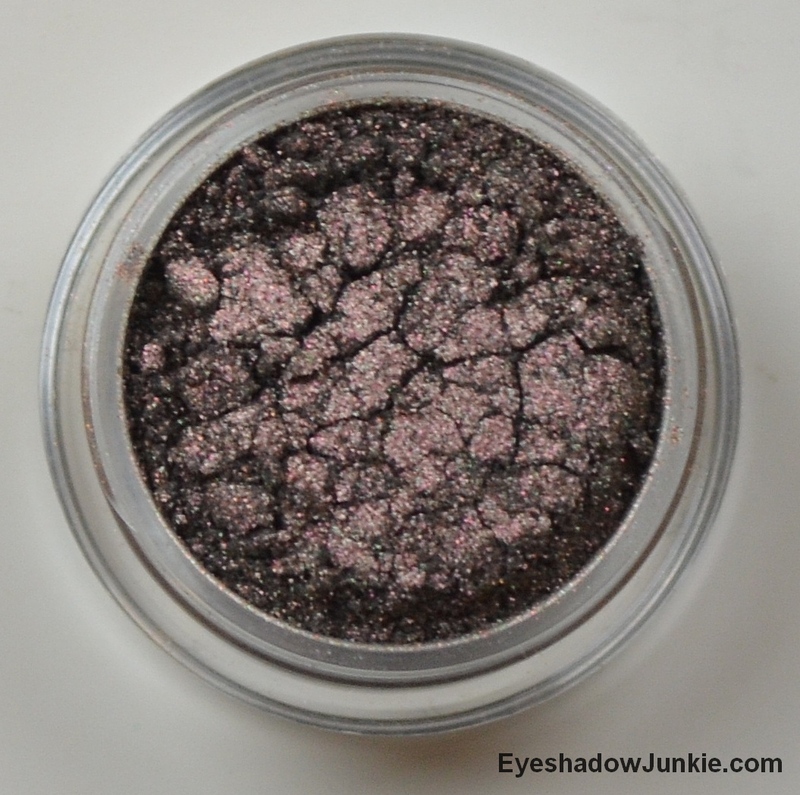 The typical Fyrinnae shadow is 3g, but the Exquisites shadow weigh less according to Fyrinnae. 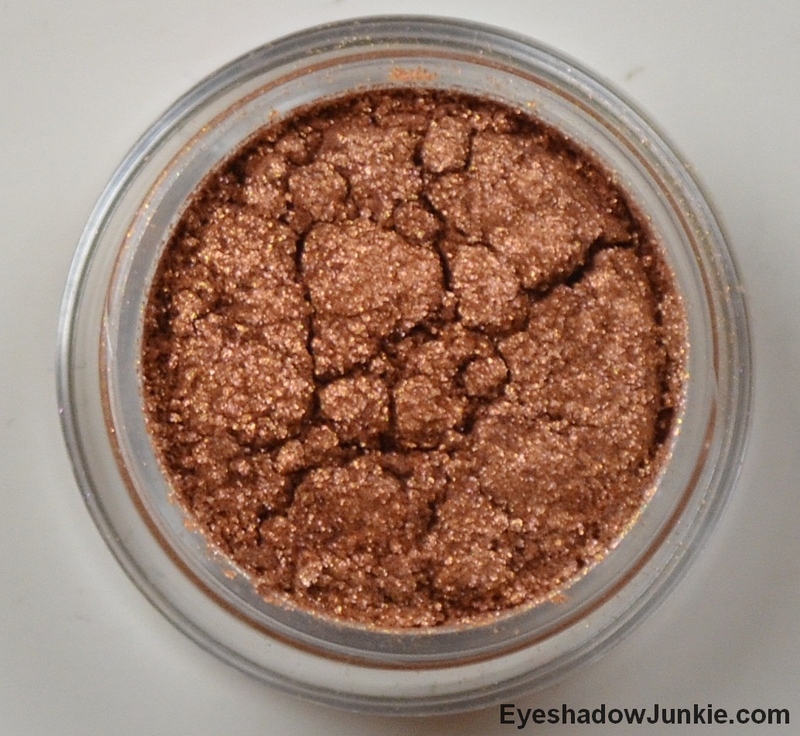 These shadows come in the same pot as the others and are just as packed with product. This shade is described as a transparent pale bronze with pink sparkles, shifting to a greenish gold with hues of peach and lime. To me, on my NC45 skin tone, this is a pinkish bronze that shifts to light gold. It is a nice shade with a sticky base or regular primer. This shade is described as green and turquoise sparkle on transparent light reddish brown base and shifts to light blue and ruddy pink when close to the light. 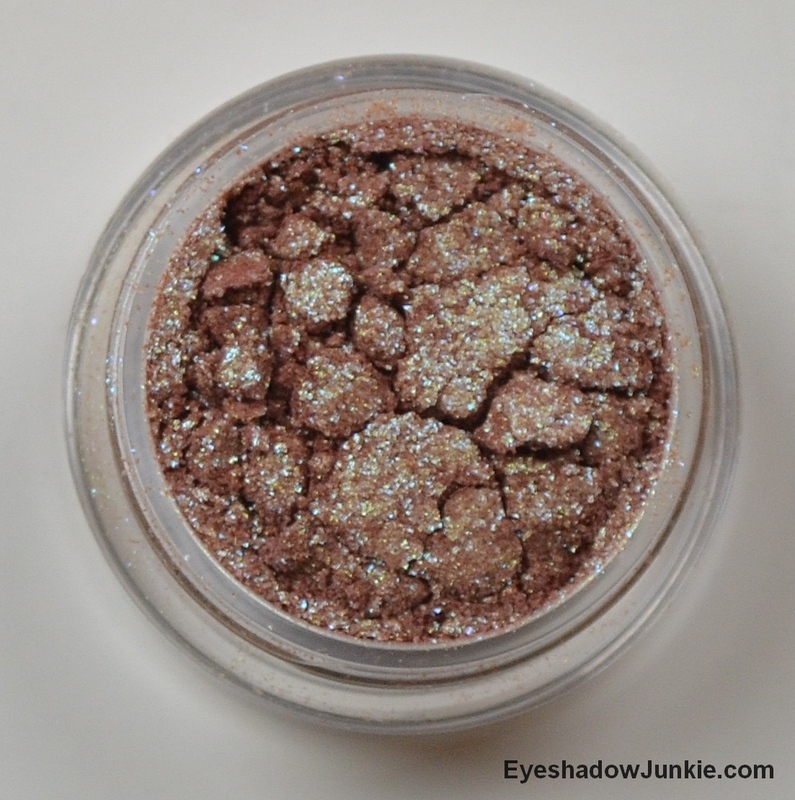 This is one of those sheer shades that look best on a sticky base. When swatched on a regular primer, it reminds me of a Mac’s Reflects shade with a colored base. 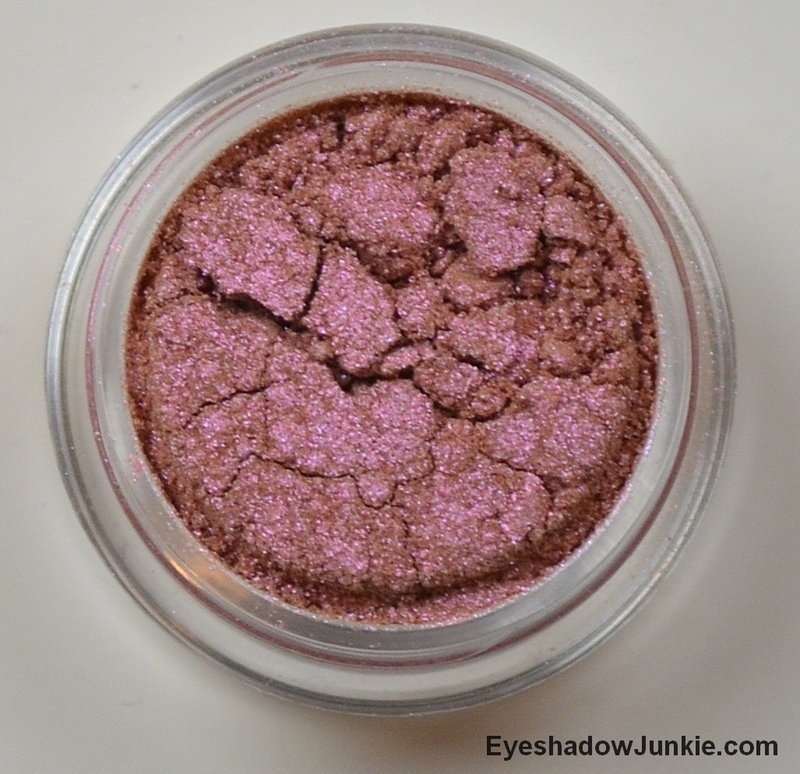 The colored base of this shade does not come across at all when swatched, just the intense sparkle. The sparkle comes across more green. The colored based, while in the pot, gets stronger and looks more plum when held closer to the light. 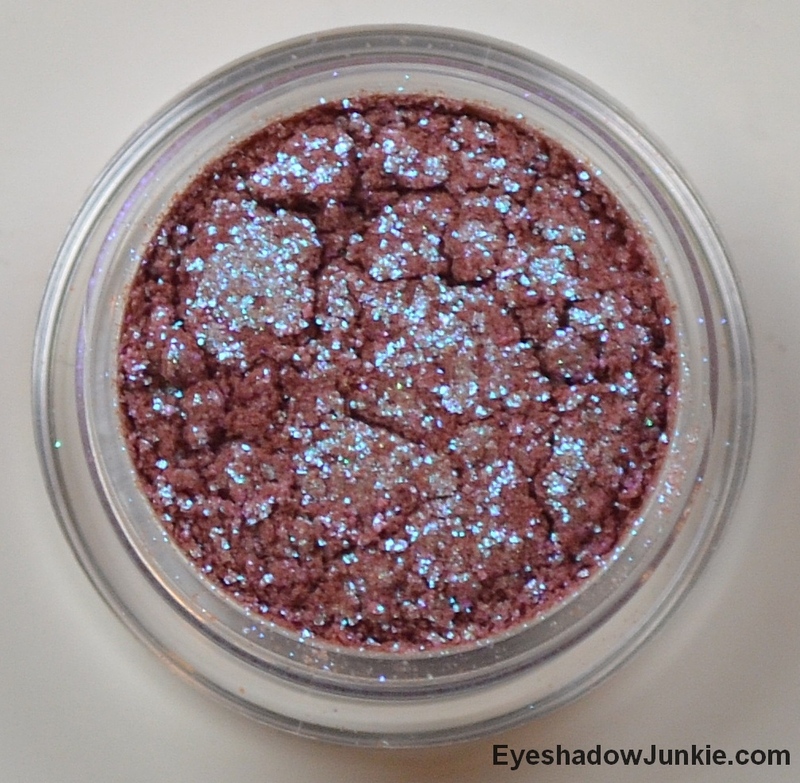 This shade is described as a turquoise-blue sparkle that turns to a vivid pink on a sheer burgundy base. This is another sheer shade where the base doesn’t come across too strong on my skin tone, but the color shift of the sparkle is amazingly strong. Like Elegant Revelry, it looks best on a sticky base or on top of a colored base. This shade is described as a complex blend of red and blue hues that shifts to shades of green and gold. This color swatches and applies much better and more complex than it appears in the pot. To me, this is a brown gray taupe base with pale pink and blue-green shimmer. It shifts to an olive green base with pale gold shimmer. This shade is the sleeper hit of the collection and applies beautifully on typical primer. Depending on the shape and angle of your eye, and how the light hits it, you will see all the colors at play. It’s a “one shade wonder”. This shade is described as a vibrant pink shimmer on sheer beige, while away from direct light. Closer to light or at certain angles, it shifts to a bright golden peach shade. To me, it’s a cool pink shimmer on a light brown base. The shimmer shifts to a coral when closer to the light. The shift isn’t as strong when applied to the eye on a regular primer. The swatches are all on Fyrinnae’s Pixy Epoxy. Mine come in tomorrow. I can’t wait! Great post… Makes me even more excited!!! Thanks!!! My pleasure. Enjoy your new shadows!